Retreat begins with evening session on Nov. 25, 2018 and ends after morning session on Dec. 2nd, 2018. Important: The Namgyalma wang (empowerment) is being given by Jhado Rinpoche on October 28, 2018, in El Cerrito, CA, at Sera Jey Foundation. Although it is not a requirement for this retreat, it would be useful for you to attend this, especially if you haven’t had the empowerment before. Also, by receiving the Namgyalma empowerment, which is in the tathagata family of practices, you are empowered to practice any other kriya tantra. 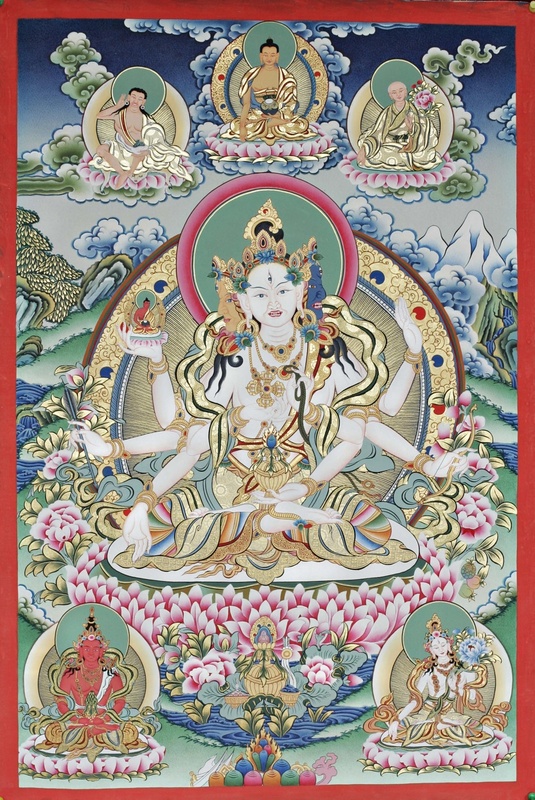 Namgyalma is one of the three long life deities. Lama Zopa Rinpoche explained that the Namgyalma practice not only dispels life obstacles; it also purifies negativities and downfalls and protects against birth in the lower realms. Lama Zopa Rinpoche said the Namgyalma practice is such a powerful purification, and it is especially beneficial for the sick and those with cancer. We will be completing 1,000 of the long Namgyalma mantra in six days. We will conclude the retreat on Dec. 2, with a Namgyalma long life ritual offering to Lama Zopa Rinpoche and all our gurus. The kind, compassionate Guru Shakyamuni Buddha taught the benefits of reciting the Namgyalma mantra to the Four Guardian Kings. Even if you are in danger of dying because the karma that determines your life-span is running out, if you wash your body, wear clean clothes and, abiding in the eight precepts, recite the Namgyalma mantra one thousand times, you can increase your life-span, purify your obscurations and free yourself from disease. Lama Zopa Rinpoche sent us this message after the 2017 Namgyalma Retreat, where we collectively accumulated 10,267 mantras. The mantra has so much power to cure even what expert doctors can’t cure, if recited 1000 times or more. You can bless the cream (medicine) by blowing on it after each time you recite the mantra. That becomes a powerful healing method. And besides that, it becomes incredible purification and accumulation of merit! 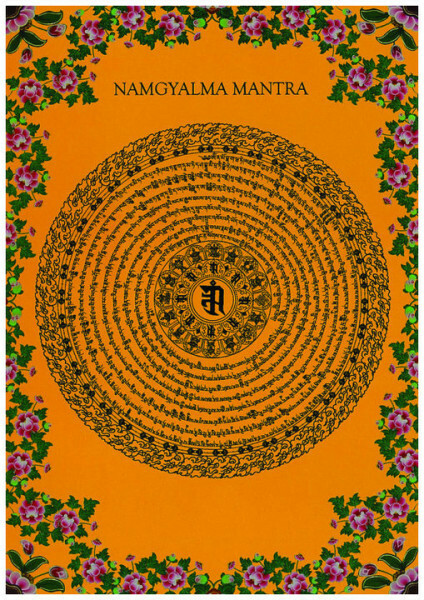 The Namgyalma mantra is extremely powerful. If you put this mantra on a mountain, then the whole mountain is blessed and any human beings, animals or insects who touch or climb the mountain have their negative karma purified just through that. They are not reborn in the lower realms. This is the main mantra for purifying and liberating from the lower realms—purifying negative karma by putting the mantra on the body of a person who has died or chanting it for a person who has died. What need is there to mention, therefore, how great the purification experienced by those who recite this mantra or keep it on their body. If you have refuge in the Buddha, Dharma, and Sangha and have faith in tantra, you can attend this retreat, even without the empowerment. Gift of Dharma—Be a Benefactor! Help sponsor this special event! Sponsor those who are sick and in need. Sponsor the Sangha. You need your help to support them. Your gift of the Dharma also create the causes for your good health and long life and for the Dharma to flourish! Benefactors will receive special prayers and dedication during the Namgyalma retreat–for your long life, purification and free of hindrances.